Yes, this is a special limited edition of Marmite, made with champagne! I have to admit that I was contemplating trying to procure one when I'd first heard of it, but hesitated because I still have about two and a half jars of last year's special edition Guinness Marmite. But then again, can a dedicated Marmite lover have too much Marmite? I don't think so. Which makes JustHungry.com our favourite blog! When spreading it on your toast! 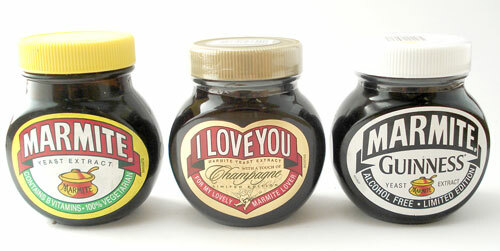 So, how does the Champagne Marmite taste? (Naturally, I tried it on a piece of toast with butter.) It is a bit runnier than the Guiness Marmite, and does have a distinctive taste of champagne. It's not bubbly of course, but that's a minor drawback. But most of all, the label is just so right. 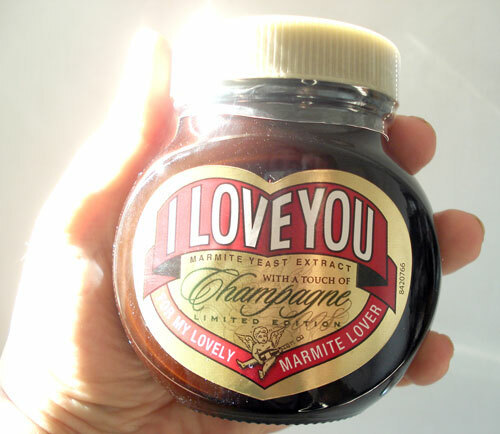 You can read more about the Champagne Marmite on the Lovers' Marmite blog. Viva Marmite! Submitted by maki on 2008-02-14 13:37. This is a cool post. The company sounds like they have great PR people. BTW, I just came on to wish you a Happy Valentine's! Thanks again for a wonderful blog! (I seem to write that in my comments on your blog often). That is rad. Have you found any place to get exotic Marmites here in Zürich? I actually wrote to the company to try to order some but they would not send it here. Alas. Aw, that was sweet of them to send it to you. And good PR too. Hm...I wonder if I can find the champagne marmite in the US anywhere. ghort, I've found regular Marmite at Globus. And actually Cenovis (available at Coop) is quite close in flavor to Guinness Marmite! 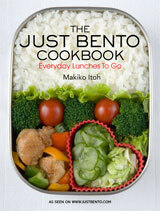 I bought this for my fiancee for Valentine's Day - it was in Waitrose so I grabbed it!